Have you ever thought about planting cover crops in your vegetable garden? Foster a healthier garden by planting cover crops in the off-season, after vegetables are harvested. Fall cover crops benefit the garden in numerous ways, like building soil, stopping erosion, suppressing weeds, creating beneficial insect habitat, and adding nitrogen and organic matter to the soil. Winter rye is a popular due to its cold-hardiness, ease of growth, and high biomass. Its dense canopy makes it a top pick for managing weeds and adding organic matter to the soil. Plant rye by mid-October, at least three weeks before the first killing frost. It can be sprinkled or broadcast seeded onto lightly cultivated soil, and watered regularly until it sprouts. Rye should grow to several inches tall before going dormant for the winter. It then continues growing in the spring, rising between 2-4 feet tall. Terminate rye by mowing and turning under at least a week before planting vegetables in the spring. Tillage radish (also called forage radish) has a long taproot that penetrates hard soil, breaking up compacted areas and adding organic matter. This is a good pick for newly created in-ground gardens where the ground was previously lawn. While it is not winter-hardy in Minnesota, it can be planted in the late summer (August-September) and grown for several weeks until the first killing frost. If they are not tilled under, the broad leaves of tillage radish will remain on top of the soil through the winter and may create a mulch to help suppress weeds. Austrian winter pea is a legume that will grow through the fall and die naturally by a killing fall frost. It adds nitrogen and organic matter to the soil. Because the stems break down quickly after dying, it may provide nitrogen to the soil more rapidly than some other legume species. It prefers cool weather, with an ideal planting time of early fall. 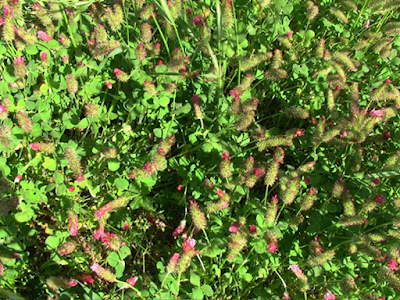 Red clover adds nitrogen, breaks up heavy soil, attracts pollinators, and improves soil structure of the topsoil. It does not have as dense of a canopy as rye, but could be planted together with other species in order to combine benefits. It is mostly winter hardy in the southern half of Minnesota (USDA Zone 4), and is adapted to a wide range of soil types compared to other clovers. More information on red clover can be found here. 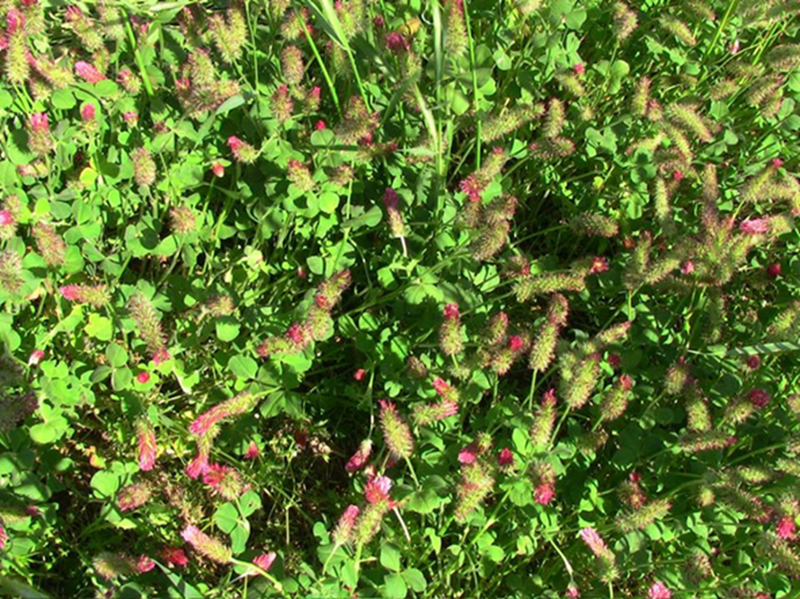 For a winter cover crop, plant red clover in late summer or early fall at a rate of 8-12 pounds per acre. Terminate it in the spring before planting vegetables. Triticale is another high biomass, winter-hardy grass cover crop used to suppress weeds, add organic matter, and prevent erosion. It overwinters well in Minnesota. It is a wise idea to terminate dense grasses like triticale and rye at least 1-2 weeks before planting vegetables in the spring. While letting them grow up until vegetable planting prolongs weed suppression, it may also cause unwanted competition with the vegetables. Plant triticale between August and early October.